You might already have got a notification saying "Account Action Required". Well, It's not just you, Lots of people are reporting getting signed out of Google Play Services. We've gotten reports about some users being signed out of their accounts unexpectedly. We're investigating, but not to worry: there is no indication that this is connected to any phishing or account security threats. 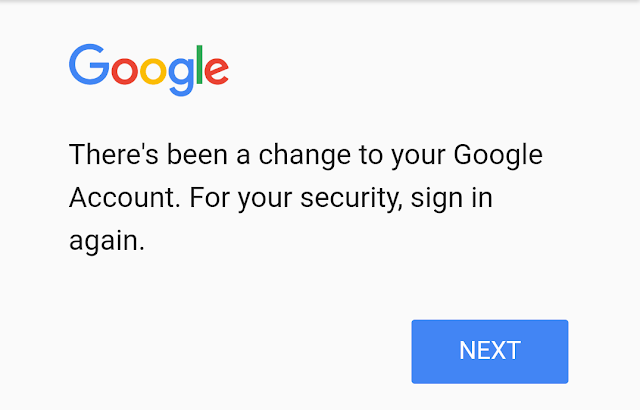 Please try to sign-in again at accounts.google.com and if you cannot remember your password, please use this link (g.co/recover) to recover your password. If you use 2-Step Verification, there may have been a delay in receiving your SMS code. Please try again or use backup codes.